I'd recommend them. In fact, I've already recommended them. They did exactly what I asked of them. They had no problems or hesitation taking on a fairly large job. They're professional, hardworking, timely, and competent. I'd highly recommend them. They showed up at the scheduled time, they cleaned up their mess to my satisfaction, and they were easy to deal with. They're very reliable and great to work with. 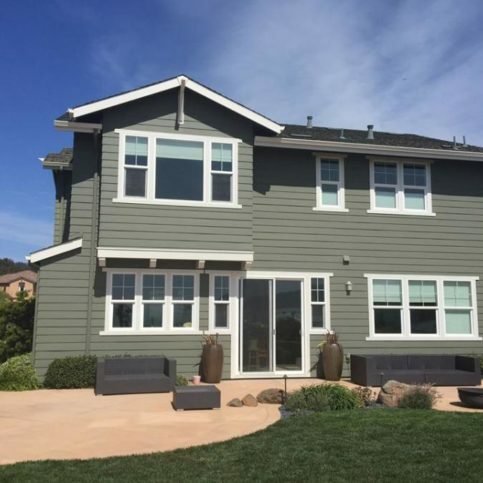 Innovation Painting Plus provides a complete range of interior and exterior painting services for residential and commercial clients in San Francisco and San Mateo County. 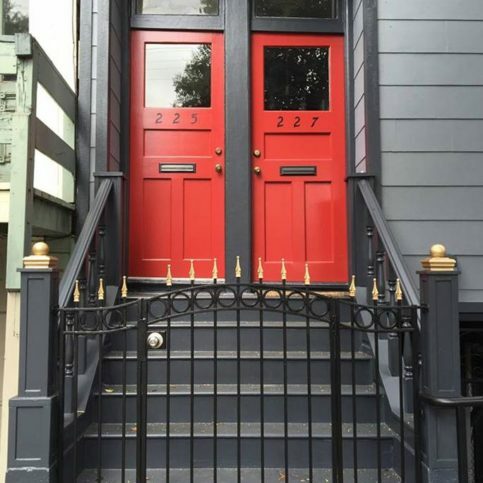 The company uses high-quality materials and industry-best techniques to prepare and paint all types of surfaces, and it’s also qualified to perform wood restoration work on Victorian houses and other vintage buildings. 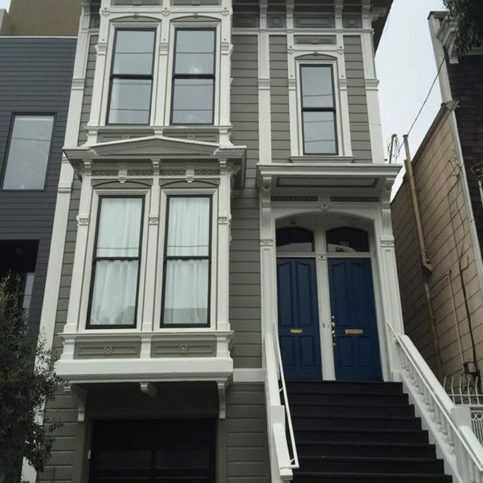 Areas Served: Serving all of San Francisco and San Mateo County including the Sunset, Bernal Heights, North Beach, Russian Hill, Nob Hill and the Tenderloin. 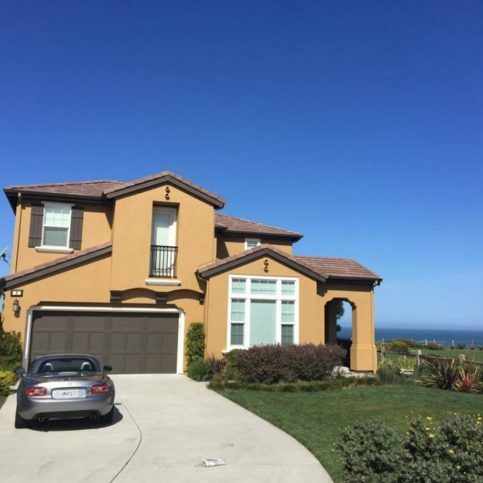 Innovation Painting Plus provides all types of interior and exterior painting services for residential and commercial clients in San Francisco and San Mateo County. 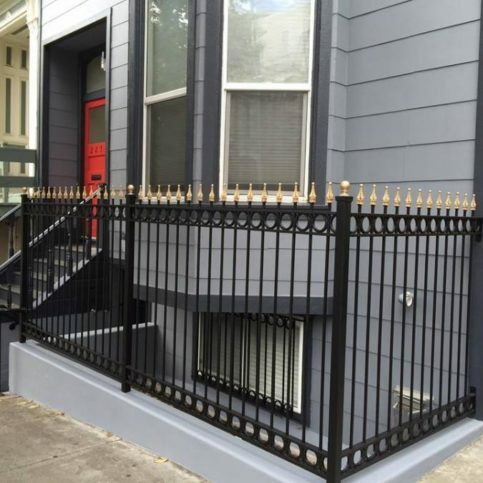 The company uses high-quality materials and industry-best techniques to prepare and paint all types of surfaces, and it also has the training and equipment to perform wood restoration work on Victorian houses and other vintage buildings. Q: How long will it take to complete my painting project? A: Every job is different, but we’ll be able to give you an estimate after we determine how much time it will take to complete each phase of your project. Q: Will the same painters work on my job every day? A: Yes, the same people who work on your project the first day will stay until it’s completed. Q: What brands of paint do you use? A: We prefer to use top-of-the-line brands like Benjamin Moore and Sherwin-Williams because we trust their quality. We don’t use paint brands that we don’t have experience with because we want to achieve the best possible outcome on every project. Q: Can you help me pick the right colors for my painting project? A: Yes, and we’ll also bring paint samples to your home so you can see how certain colors look in context. 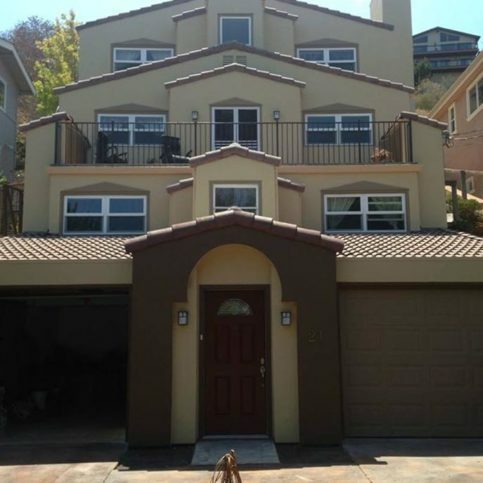 Q: How long will my exterior paint job last? A: Your paint job should last five to seven years, depending on the weather. Every face of your house is exposed to the environment in a different way. 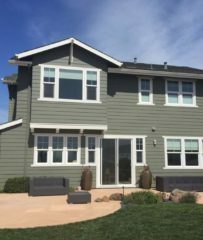 For example, the paint on the south face of your house won’t last as long as the paint on the north face because of sun exposure. Q: Is there anything I can do to make my paint last longer? A: There are additives you can put in paint to make it last longer. For example, if you live in an area with a lot of mold, you can use an additive in your paint before applying it to protect the surface. Using an extra coat or two will also help the paint last longer. Q: What’s the easiest type of paint to keep clean? A: Semi-gloss paint is the easiest to keep clean because you can just use warm water and a mild detergent to wipe off dirt. You should never use chemicals to clean a painted surface because they can remove the sheen, which will cause the paint to fade more quickly. Q: Is it OK to paint over wallpaper? A: We don’t recommend painting over wallpaper, but we’ll do it if you want. However, we’ll explain the downsides of doing it so you understand the nature of the job. If you decide to go through with it, we’ll use an oil-based primer on the wallpaper and then paint over it. 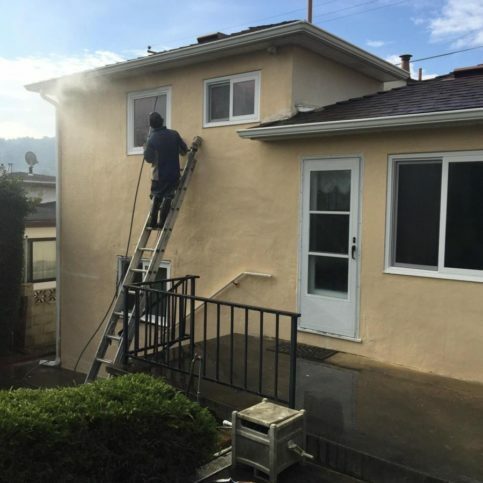 Q: Can I use a scrub brush on my exterior paint or should I use a hose? A: It depends on why you’re washing your home. If you just want to remove dust, a hose is fine, but if your house is extremely dirty, it may require other tools in order to clean. We can advise you on the best way to clean your home and protect your existing paint. Q: Do I need to keep my windows open when you’re painting inside to air out the fumes? A: Most modern paint products are water-based, so they don’t have much of a smell. If you have children, pets or pregnant family members, we recommend opening the windows just to be extra safe, but the smell isn’t dangerous and will dissipate quickly when the paint is dry. Also, there are low- and zero-VOC paint products available that have very minimal odors. Daniel Morra is a 17-year veteran of the painting industry and president of Innovation Painting Plus, a Diamond Certified company. He can be reached at (415) 275-1070 or by email. In keeping with his love of diversity, Daniel devotes as much time as possible outside of work to travel. “Traveling is a big part of my life,” he affirms. “I love seeing different places and meeting different people, both in the U.S. and abroad.” Daniel also enjoys personal hobbies like collecting vintage toys, watching soccer and rugby, and playing with his mini rat terrier, Pine. “From a distance, she looks like a Chihuahua, but she has a different personality than most dogs her size. For instance, she’s a hunter.” In addition to hanging out with his canine cohort, Daniel takes time to keep up with his son, Frederico, who is currently attending college. A: The past—there are a lot of things I would change and people I would help. A: An early bird. I wake up around 5am and go to bed around 11pm. A: It’s a tie between ice cream and flan. A: My “Masters of the Universe” He-Man action figure. SAN MATEO — After completing a painting project, the next thing to do is clean your brushes and other painting tools. This can be a frustrating process, not only because it’s messy, but also because you have to exercise care when handling and disposing of solvents like paint thinner, which is considered a hazardous waste substance. However, if you’re using oil-based paint, you’ll be glad to know there’s a natural alternative to conventional solvents: vegetable oil. The benefits of using vegetable oil to clean your painting tools are obvious: It has the same effect as paint thinner, but without the toxicity. Also, you don’t have to worry about getting it on your skin or disposing of it properly—just pour it down your kitchen sink. To boost its cleaning effectiveness, consider mixing your vegetable oil with dishwashing detergent or another co-ingredient. SAN MATEO — Host, Sarah Rutan: When it comes to cleaning your tools after a painting project, you might be surprised at how effective a common household substance can be. Today we’re in San Mateo with Diamond Certified Expert Contributor Daniel Morra to learn more. Diamond Certified Expert Contributor, Daniel Morra: If you ever want to clean up some tools or brushes that have been used with oil-based paint, the best way to clean up is to use vegetable oil. Yes. Vegetable oil will be a great cleaner. You can use it the same way that you would use it with thinner. The only difference is that you will use it and clean it and dispose it at your regular sink. Innovation Painting Plus : Average 9.4 out of 10 based on 86 unique customer surveys of customer satisfaction. They are very professional, very straightforward, and do an amazing job. I like how he explained to us the options, like the different paints. It's funny because you know you need something painted, but don't know the exact options available with paint. I thought it was really cool to be able to see all the different paint options and textures. He runs a good business. He exceeded my expectations. He's great. I'd recommend him to anybody. I would say that they're reliable. They do an excellent job. They are very thorough and helpful. It was important to us that we used someone with the proper credentials, good reviews, and insurance. They do a great job. I've used them for several years. They're pretty good. I like their personalized service and their ability to do the job when I need it. They do high quality jobs. I like working with Daniel. He went out of his way to do work, providing extra detail and information even before he knew he had the job. When giving us a bid, he went above and beyond what he needed to do. We liked his pricing and his communication. He was reasonable. We liked his communication, updating us when any changes occurred. He made sure the job was done well and the clients were satisfied. He is reliable and professional. Daniel is really on top of business. He does quality work. He did a good job. I was very happy with the work. The communication was good. The work was good. I would definitely recommend them for anyone needing this type of work done. They are an excellent choice. They did excellent work for us. They did an excellent job. They were really easy to work with. They were very honest with us, and we had a very nice business relationship. They were so great to work with. I recommend them. They do a good job. If you have questions, they are good at answering those. They are good at working with you and solving problems. The end result was great. They are very friendly, very professional, and very helpful. They have good quality and customer service. I would say that Daniel Morra is a very friendly gentleman. Everything got done according to plan, and I couldn't be more satisfied with the way things turned out. Daniel was very accommodating to my needs. I like that he has a small, family-owned type of company, and how he never pressured us to choose anything that wasn't within our budget. He was very clear, communicative, and informative. In my opinion, the job we had him do was somewhat large, but he persevered and completed it all within 3 days. I'd tell a friend they should definitely consider hiring Innovation Painting. They do beautiful work, and they know what they're doing. They did a quality job, and they were competent. They're very professional, the quality of their work is great, and their prices are reasonable. Daniel, the owner, is extremely meticulous about the work he does. He's professional, flexible, and very accommodating. He's also very thorough, timely, and knowledgeable. I'm happy with what they've done for me. They do a quality job, and they're very meticulous. They really take their time to do the job right, and they know what they're doing. Daniel has good customer service skills. He always returns phone calls, he's professional, reliable, and trustworthy.